A sponsored hip + urban girl contest. Remember last year when I had dinner on the stage of Massey Hall while tuning into a live stream of the Usher concert in London, England? Well we are doing it again and want you to experience the Amex Ambassador red carpet treatment! I'm looking for a date for next Friday, August 9 to join myself and the Amex Team for dinner + exclusive screening. Car service will be provided. 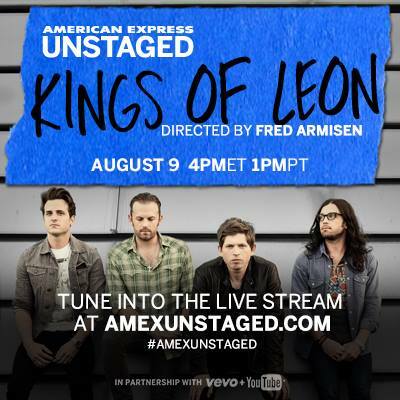 All you have to do is Tweet "I want to attend #AmexUnstaged w/ @hipurbangirl + include your fave @KingsOfLeon song!" Created by American Express as a way of demonstrating the memorable experiences it brings to people while at home or away, the “American Express Unstaged” music series is a cutting-edge live event and interactive digital platform, bringing together popular musical artists with renowned film directors. Watch at home by tuning in live here! Looks like a fun event. I hope you get a date very soon. 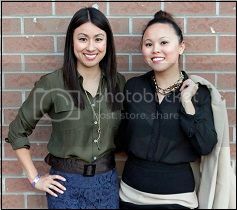 Congrats to Genevieve W who will be our date for #AmexUnstaged Friday! Follow our live tweets at this exclusive @amexcanada event!